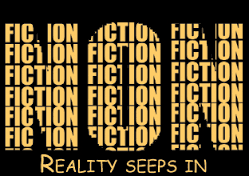 #SOL15: It’s all about nonfiction! Inspired by and including ideas from #TCRWP #RUOS chat on August 24, 2015 led by Katie Clements (@clemenkat) about “Tackling Complexity” – grade 5 unit. I’m all about nonfiction . . .
With learning in each day. ‘Cause learnin’ is more fun when you get to choose your own path to sail. So fun! I can just see this with books and kids dancing. It would be fun to have the kids revise and then choose books to use – just to see their own decisions! Love that you picked one of the lines where I actually worked on the rhyme! HAVE a great Tuesday, Julieanne! Love this post. How great it would be to have students do something similar about their passion. So true. We could practice/share writing for some “school” ones like reading workshop or writing workshop and then turn them loose! FUN! I am going to get my students to learn this and sing it and I’ll send the video to you!! You are too creative!! !